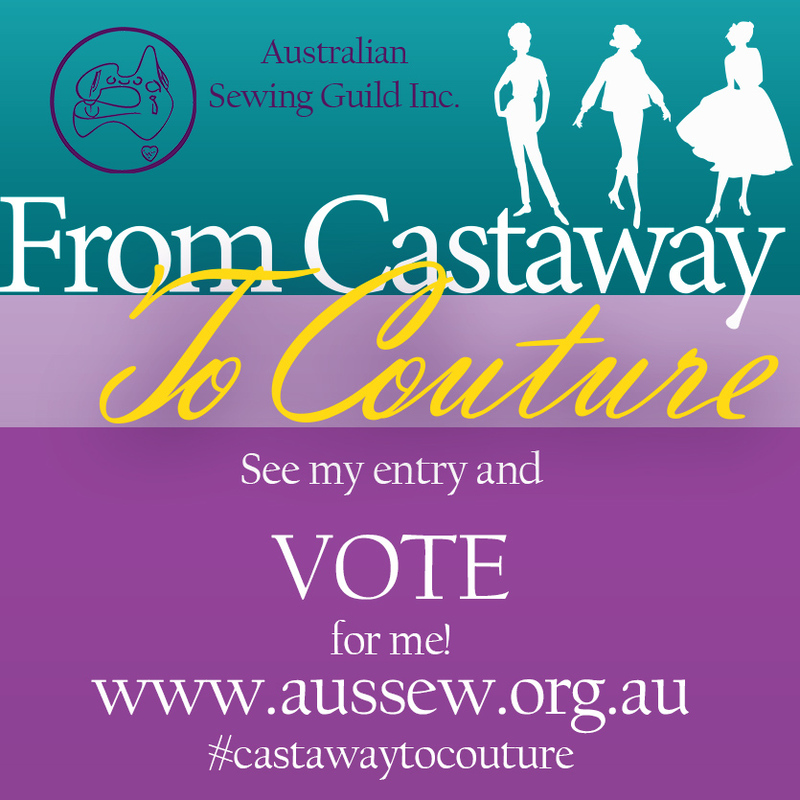 Ask your friends to vote for you and vote for your favourite refashions. The competition opens 15th January 2016 and closes at 11.00pm 31st May 2016. 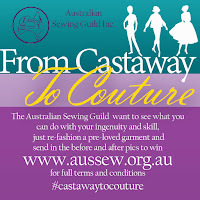 A registration form must be completed on Facebook at www.facebook.com/AustralianSewingGuildInc/. 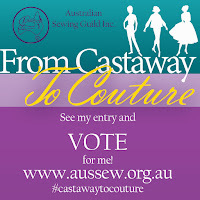 Click the Castaway to Couture menu option at the top of the page to register and post your entries. Don't use Facebook? That's OK - just contact us at c2c@aussew.org.au. We'll help you with the registration process and tell you what information you need to send. There will be four prize packs awarded. Two will be awarded to the judge’s choice and two will be awarded to viewers’ choice. Judges will pick eight (8) finalists, based on pictures submitted. Finalists will be asked to post their entry to the address provided. All garments will be returned at no additional cost to the entrant. Viewers' choice will be based solely on pictures submitted and determined by number of votes. Picmonkey.com is a free online service that allows you to collage. Here’s a tutorial on how to do it. Framatic is a free iPhone app that also allows collaging. Here’s a tutorial on how to do it. We wish you happy snapping and collaging! If you really get into trouble, shoot an email off to c2c@aussew.org.au and we will try to give you a hand. Blog Buttons & Images to help get those votes! Of course you'll want to get as many votes as you can! The easiest way to get the word out is to use social media to your advantage. We have created some images, free for you to use, to help you get people voting. And if you blog, here are some buttons for your sidebar. Still got a question? Our friendly team are always happy to help, just send an email to c2c@aussew.org.au. As you can imagine, we are spinning our bobbins pretty fast right now but someone will have your question all stitched up within 48 hours! 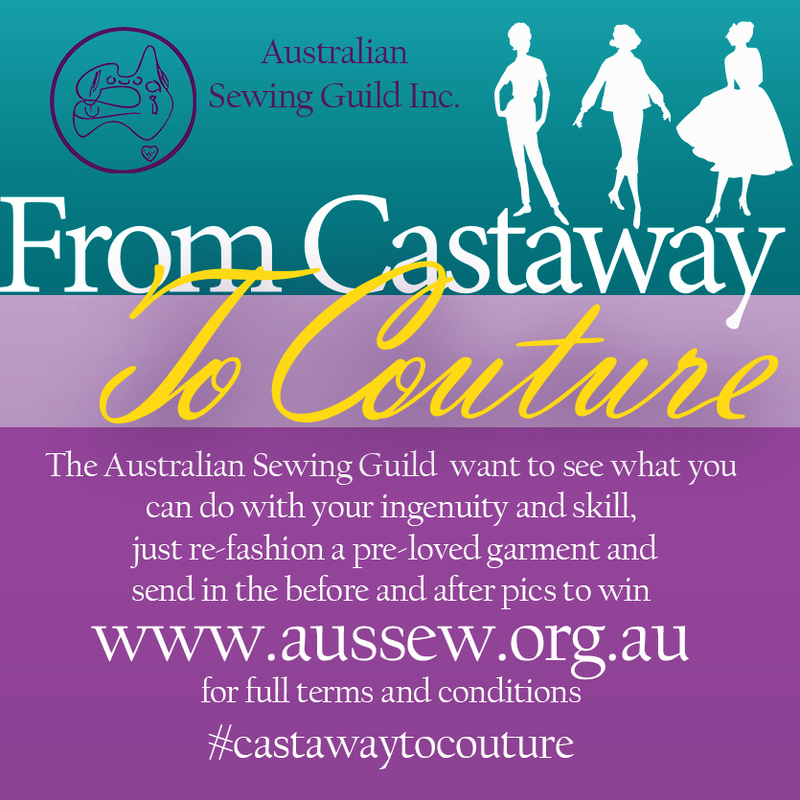 Getting your sewing group organised for 2016!